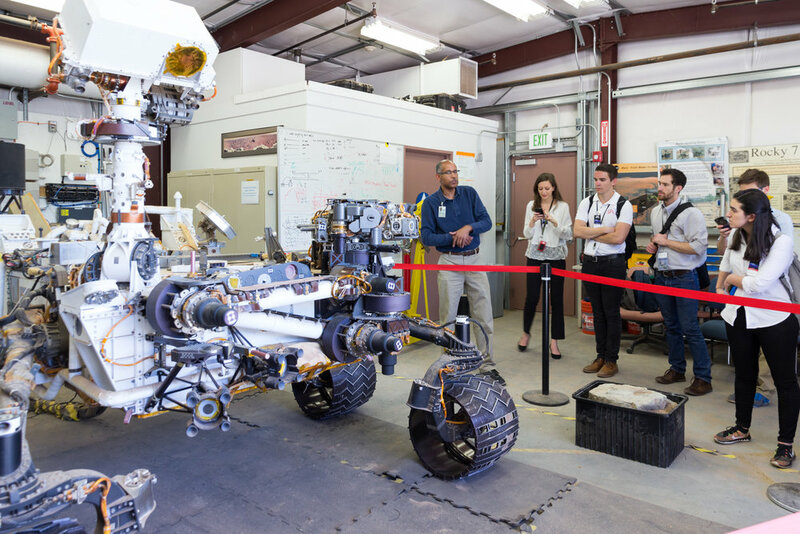 The Caltech Space Challenge brings 32 talented and highly-motivated students to the Caltech campus to participate in a week-long space mission design competition. The participants are split into two teams and both teams work under the mentorship of experts from industry, NASA and academia to design their mission concept from scratch to final proposal. The Challenge is a unique opportunity for young and enthusiastic students to build technical and teamwork skills, interact with world-renowed experts in space exploration and connect to like-minded peers from all around the world. 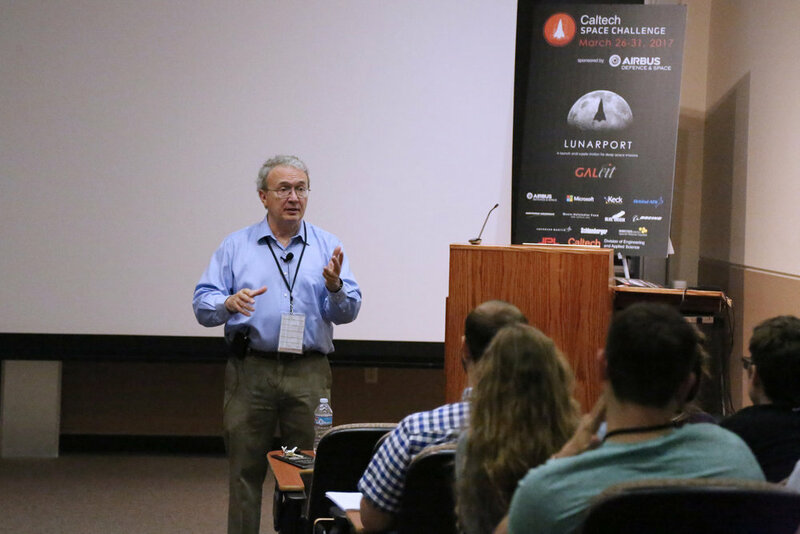 The next edition of the Caltech Space Challenge will take place from March 24 to March 29, 2019. March 21, 2019 - The participants and teams of the 2019 Caltech Space Challenge are now online. March 16, 2019 - The schedule for the public lecture series is online. Attend the lectures from March 26-29 to hear from experts about cutting-edge Enceladus research, miniaturized rovers and more. The lectures are free and open to the public. Jan 26, 2019 - The participants for the 2019 Caltech Space Challenge have been selected. We will announce the teams on our website shortly before the Challenge. Dec 2, 2018 - Applications for the 2019 Caltech Space Challenge are now closed! We will inform applicants about the admission decision in January/February 2019. Oct 1, 2018 - Applications for the 2019 Caltech Space Challenge are open! Submit your application via the online form, the deadline to apply is December 1, 2018. Sept 17, 2018 - Applications for the 2019 Caltech Space Challenge open on October 1, 2018. More information about the application process is available on our application information page.